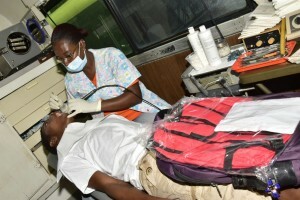 Digicel (Guyana) is expanding its dental outreach programme across Guyana, as it continues its now six-year old Back-to-School initiative, the telecoms provider said in a statement. This year’s activity began at Timehri, East Bank Demerara signaling the beginning of the initiative in collaboration with the Rotary Club of Georgetown Central. The global telecommunications company says it intends to continue the outreach since it has seen significant growth for the past six years. “It’s growing every year that means persons look forward to this event and we will continue to deliver,” Communications Manager, Vidya Sanichara said in a statement. This year the dental outreach will be targeting children in Essequibo, Berbice, Mahaica, Tuschen, Hararuni, and of course Georgetown. Children from the ages of 6-16 years old, in the company of parents or guardians, will have their teeth cleaned and other minor work done during the dental clinic outreach. At the end of the visit with the dentists and dental technicians each of them will receive a school pack along with a dental kit. “We expect to touch the lives of over seven hundred children throughout this dental outreach, we believe in giving back to communities and it is through activities like these we get the most satisfaction,” commented Sponsorship Executive Louanna Abrams. In an invited comment, a grandmother expressed her appreciation to Digicel, “I have four grandchildren here today, if it was not for Digicel they would not have this opportunity since they live in Moraikobai I am very happy for this Digicel and I hope you continue this”. This outreach began on August 23, 2016 and will end on September 1 with a show and fun day at the National Cultural Centre Tarmac.